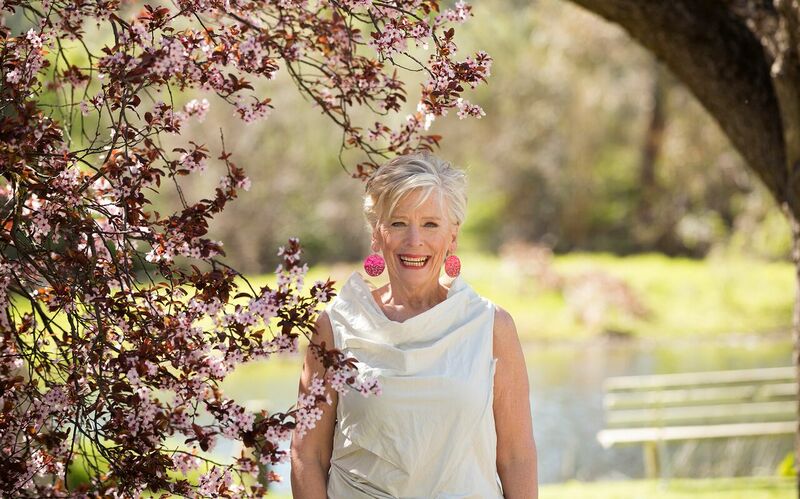 AUSTRALIA’S favourite home cook, Maggie Beer AM, will be honoured at Tasting Australia 2017 with a one-off celebration at her iconic Pheasant Farm in the Barossa. Beer, who has influenced the landscape of Australia’s culinary identity since 1979, will be the guest of honour at the Maggie Beer Tribute Dinner on Saturday 29 April, 2017. Prepared by Beer and her protégés and former collaborators including Alex Herbert (formerly Bird Cow Fish) and Steve Flamsteed (Gourmet Traveller Winemaker of the Year 2016), the dinner will provide guests with a generous serving of good Barossa food and cheerful company. Tickets are on sale now. “I’ll take any chance to fly the South Australian flag and share the incredible produce we have here,” Beer said. The much-loved author, TV host and cook is known for her simple approach to preparing and eating dishes. This flourished at the former Pheasant Farm Restaurant, that Beer opened with husband Colin in 1979, as a founding pillar of regional dining. “My original food philosophy from years ago when I started the Farm Shop still stands today; to always cook from the heart, with ingredients at hand, celebrating seasons and never letting anything go to waste,” Beer said. Beer is the patron of Tasting Australia – Adelaide’s eight-day eating and drinking festival – and is recognised as a champion of using locally sourced and seasonal ingredients. 2017 will be her final year as patron of the festival. In 2012 Beer was appointed a Member of the Order of Australia celebrating her service to tourism and hospitality, and in 2010 was the Senior Australian of the Year. The television program The Cook and The Chef, which she co-hosted with Tasting Australia creative director Simon Bryant, spanned four years and 154 episodes on ABC. Always determined to change the way people think about food, Beer launched her eponymous Foundation at Tasting Australia 2014, with a focus to bring the benefits of a good food life to all, no matter what stage of life. “Maggie is the quintessential home cook – and the only things bigger than her appetite for delicious food are her heart and her generous spirit,” Bryant said. Alex Herbert (Bird Cow Fish and Carriageworks Farmers Market), Steve Flamsteed (Giant Steps Wine, Gourmet Traveller Winemaker of the Year 2016), Nat Paull (Beatrix bakery, Melbourne), Sophie Zalokar (Foragers, Perth), Chris Wotton (Group Executive Chef, GM Hotels Ltd). Tickets are on sale now and can be purchased here – the perfect Christmas gift for any food-loving friend or family member!